All employees must go through orientation and training upon hire. They will have to learn the rules and policies for operation as a member of All About Kids. Orientation can be done in a few different ways, but it is often used and thought of as a glimpse into what the job is really like. 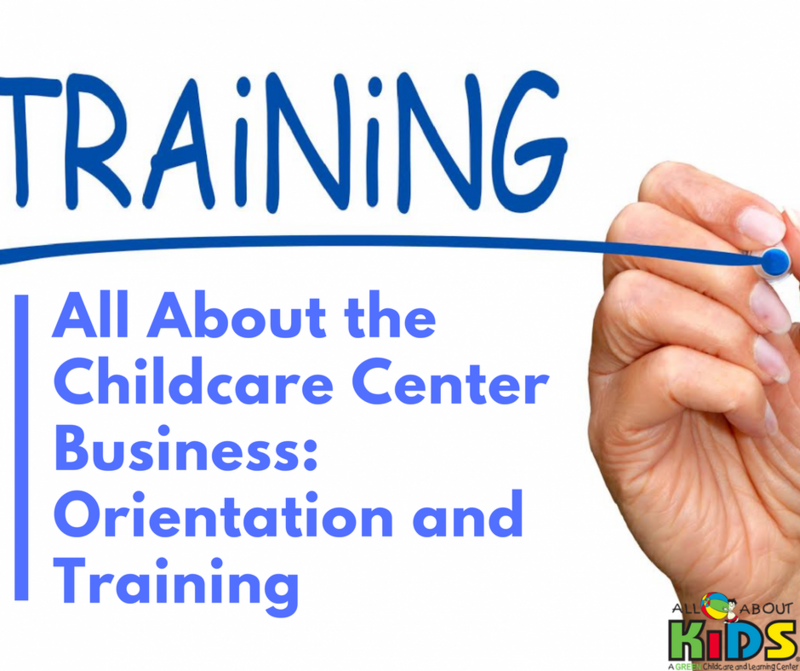 Orientation is typically what happens prior to training and shows the raw nuts and bolts that go into the job with a basic summary of what happens in a normal day at your northern Kentucky child care center. Few businesses don’t use some form of orientation, whether it’s reading a manual, shadow work, or working a paid half day as if it’s also part of the job interview prior to signing the legal employment papers. The trial work idea of orientation may not be needed if you have all your potential employees on a temporary basis for two weeks before they become permanent members of the payroll as mentioned before. If employers see a candidate they’d like to hire, but who does not have their CPR or first aid certifications, that’s no reason to say no. The Red Cross in most areas will offer classes for a fee that can take one to a few days to complete with the end result of certification. Having an entire staff that knows CPR and how to deal with choking can up your fees for admission, reputation, and the number of kids that come to your northern Kentucky child care center as parents feel more confident in the safety of their kids from the professionalism of the staff.